providing the finest maté experiences to all. Fresh and Wild handmade mate harvested in season. The best mate has to suit the individual needs as much as the collective ones. Our artisanal Meta Mate is produced by a small family of farmers by one hand. We offer to trace every harvest back up to the forest. Wild craft Mate guarantees a higher income and level of autonomy for small farmers, monocultures and certifications are normally connected to larger landowners or cooperatives where the quality of the mate is lower and the independence and income of the small farmers are less. We dedicate ourselves, research and do a reforestation project to promote a peer to peer business model. 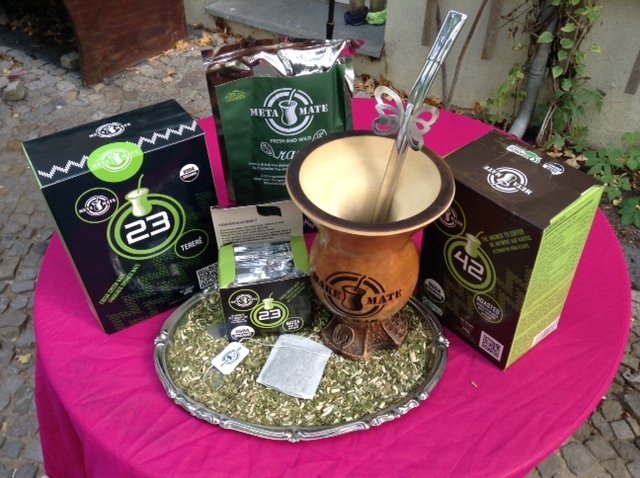 Meta Mate is constantly pushing the boundaries to introduce materos to a world beyond Yerba Mate. From our special seasonal craft smoke-dried mates to fresh vacuum packed leafy cuts, drinkers from around the world are discovering how varied mate can be! Meta Mate Raw is a unique freeze-dried Mate that is rich in minerals. For those wishing to benefit from the health aspects of Mate, we encourage you to give this Mate a try. It is ideal for smoothies as well. Our industrial Meta Mate Ervas are suitable for the beginner mate drinkers who want something simple and refreshing. Meta Mate 23 and Meta Mate 42 are organic certified and taste great hot or cold, pure or sweetened.